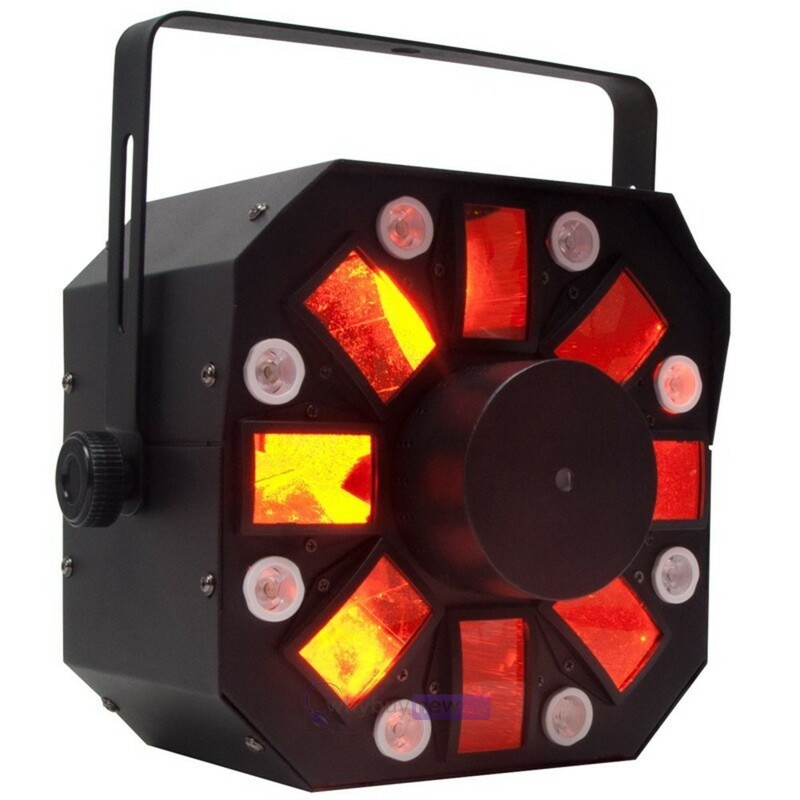 The American DJ Stinger is a 3-FX-in-1 LED light that features a moonflower, strobe and laser effect. 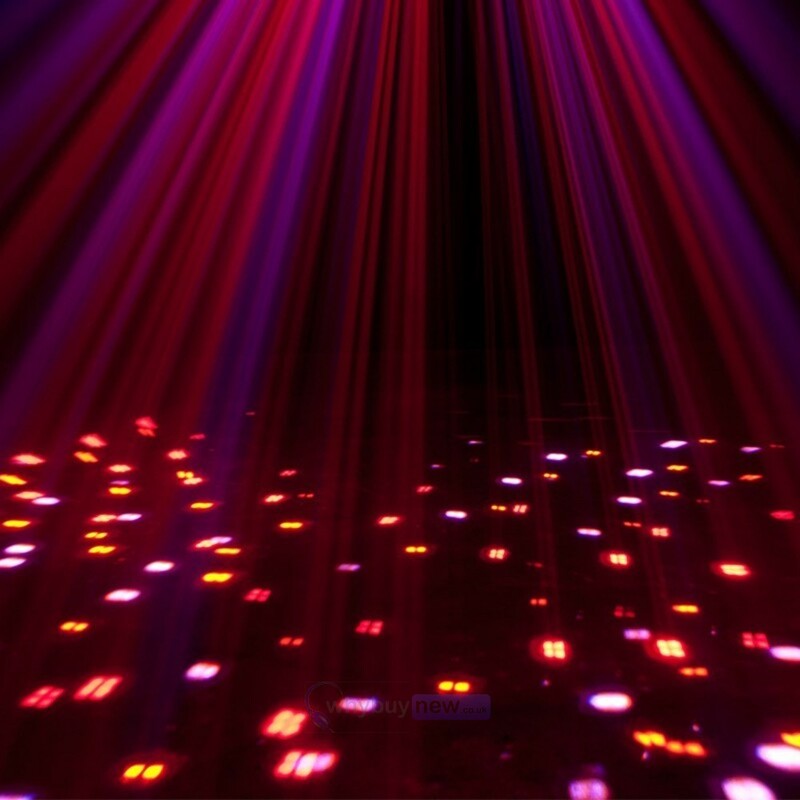 It projects dozens of razor sharp multi-coloured beams around the room and can produce quick accurate movement or smooth fluid movements for mood music. 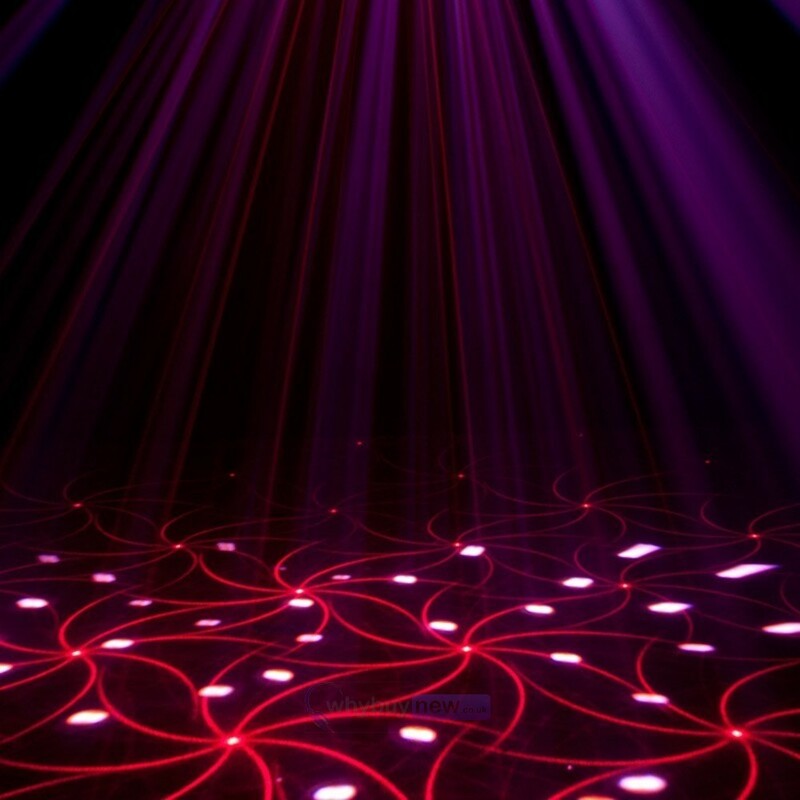 The American DJ Stinger produces 15 preset colours and uses 1.8° degree long life stepper motor technology. 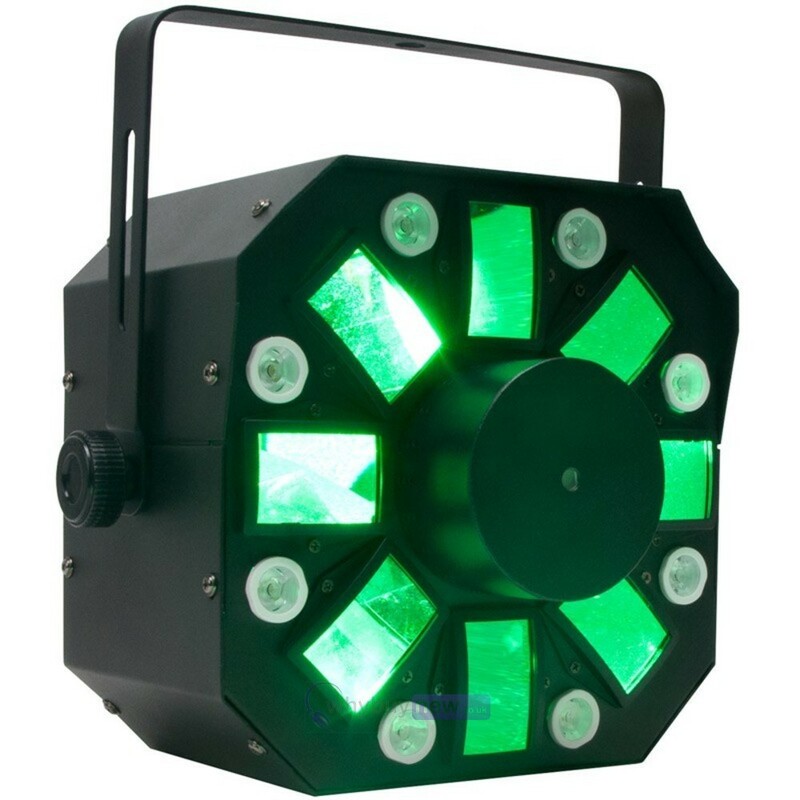 The American DJ Stinger has 10 DMX channels, 3 operational modes, built-on programs, electronic dimming and strobe effect. 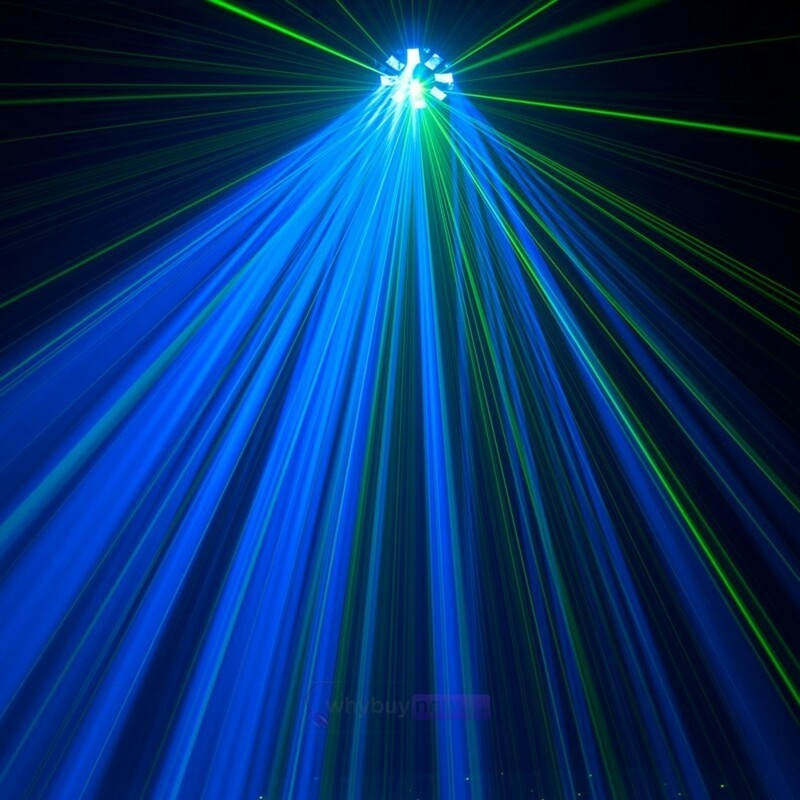 This feature packed American DJ Stinger is a 3-FX-In-1 moonflower, strobe and laser effect. 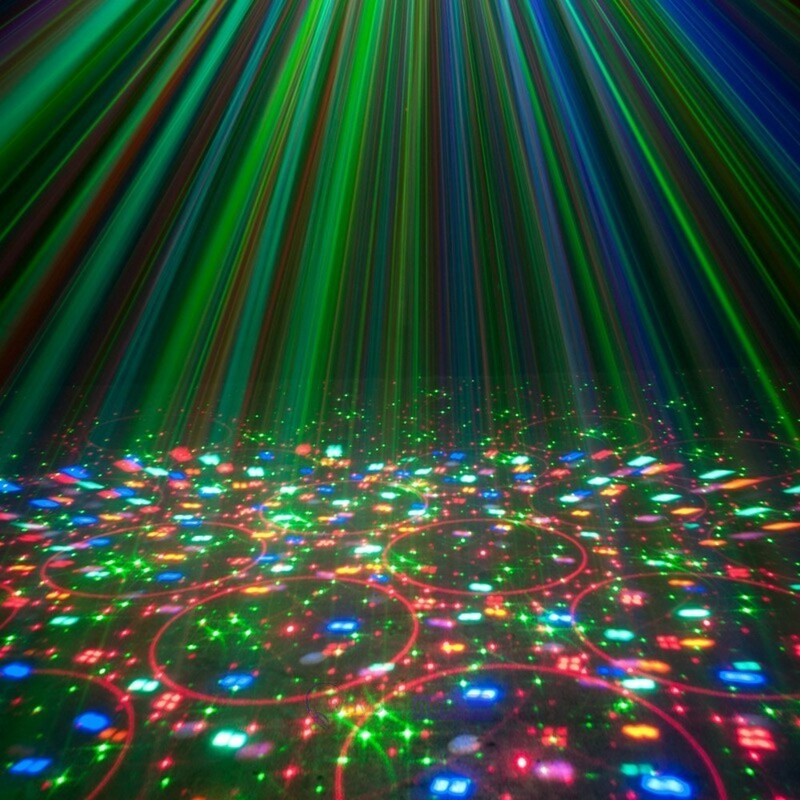 It runs extremely cool and with its advanced cooling it is able to run all night. 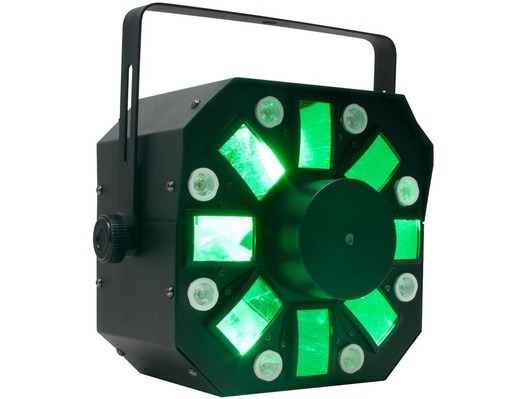 It has 3 operation modes which are Sounds Active, Master/Slave or DMX Controllable. Here we have the American DJ Stinger in new and manufacturer refurbished which will come boxed 'as new' with a 6 month warranty. Buy this amazing Stinger with confidence with 100% satisfaction guaranteed or your money back!